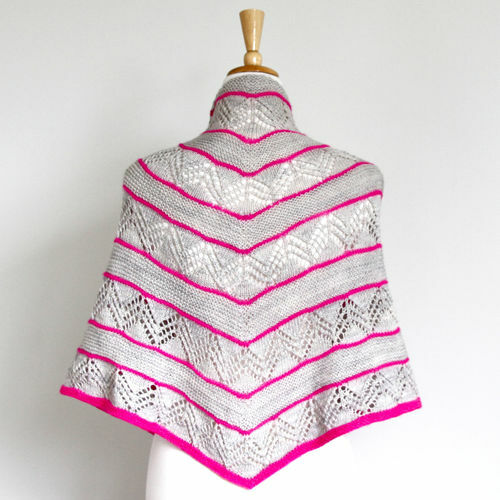 Share Ambah’s love of lace knitting and create a gorgeous shawl. Cast on Ambah’s popular Shawl of Destiny pattern and learn lace basics in the process, the class will cover how to read the lace chart and understand the stitches used. Learn about lifelines and tips for success. A perfect project to begin your lace journey, resulting in a beautiful shawl that you’ll love to wear. Ambah will demonstrate how to block your shawl to make the most of the lace pattern. You’ll begin your project in the class and leave with a WIP and the skills to complete it at home. The triangular shape of this project lends itself to many wearing options; scarf, shawl, kerchief style and more. The pattern is a combination of textures and color, with satisfying garter stitch sections interspersed with geometric lace a fresh and modern combination.